The name, “Toni Rivard” of Crème de la Cookie is synonymous with cakeballs in Dallas. Naturally when Rivard developed her new upscale bakery concept located just outside of Neiman Marcus at NorthPark Center, she used her namesake. The tiny outpost is as fashionable as the department store it sits in front of. “We wanted to create a concept that was a bit more upscale in the look and feel, while also not having a singular product category in the name. Granted, our cookies are fantastic, with the OMG [cookie] being named one of the Top 10 in the U.S. by Forbes Traveler Magazine in 2009, but there are a lot of other products that we have become known for. The new bakery will have a strong focus on cakeballs, along with French Macarons, Whoopie Pies, and the OMG Cookie,” says Rivard. Toni Rivard will offer a limited menu with the products made directly from the Crème de la Cookiekitchens. At any one time, expect at least ten different cake ball flavors with daily specials encased in the glass counter. There are thirty flavors to choose from like red velvet, vanilla white chocolate, chocolate dark chocolate and cookies ‘n cream plus holiday favorites like pumpkin and mint. Gluten free options are also available (call ahead). 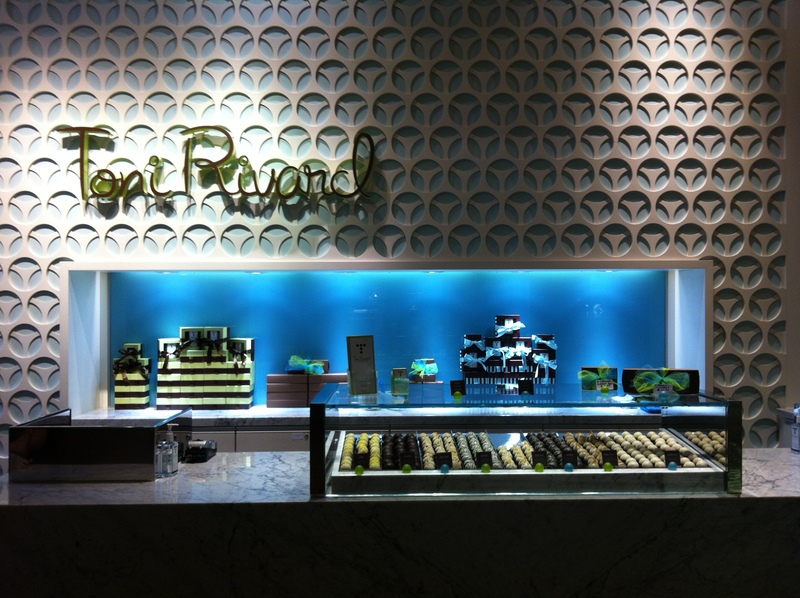 Toni Rivard’s grand opening is October 29th during mall hours. There will be complimentary samples as well as a drawing for six months of free cakeballs. However if you can’t make it to the official opening, CraveDFW & IttyBittyFoodies are giving away 1 dozen of Toni Rivard’sfame cakeballs to a lucky reader. You must be a Dallas resident to be able to enter or at least have a Dallas resident be able to collect the prize. You may enter once (not once a day!) for the following. 3) Tweet the Giveaway from your Twitter – leave a comment below to tell us that you did that too so we can keep track of all the entries. Hailing from Australia, Cheryl Ng Collett is a self confessed global gypsy. She’s a freelance journalist, recipe writer and blogger. Her blog, IttyBittyFoodies chronicles her yummy adventures with her two kids and is a useful tool for parents looking to expand their children’s palates and lists great restaurants in Dallas for the whole family. I liked, I posted, and I’m telling ya! These sound and look delicious, can’t wait to try them ALL. I liked everybody, and tweeted! I would love a pumpkin cakeball…I will have to go check them out! I think my favorite would be peanut butter and chocolate! YUM! My favorite flavor is red velvet followed by a close 2nd – oreo. So happy for Toni and her husband!